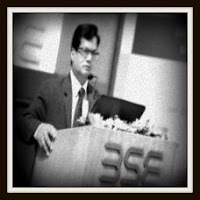 the additional charge of the post of CMD and Director (Finance) of SPMCIL to Garg, who is currently a joint secretary in the department of economic affairs (DEA) and the one armed with a degree of chartered accountancy. The additional charge, according to the order is for “a period of six months with effect from 12.07.2016, or till the appointment of a regular incumbent to the post, or until further orders, whichever is the earliest”. Garg, who is a 1988 batch IAS, had an additional charge of director (technical) of SPMCIL between July 2, 2016 and August 29, 2016, a period for which the same ACC meeting on Wednesday gave its approval with retrospective effect. SPMCIL owns Currency Note Press (CNP), Bank Note Press (BNP), India Security Press, and Security Printing Press. The CNP, the first among the lot located in Maharashtra’s Nasik and BNP situated in Dewas in Madhya Pradesh, are responsible in printing bank notes. And the coins, medals etc. are minted in SPMCIL’s India Government Mint (Mumbai), India Government Mint (Kolkata), India Government Mint (Hyderabad) and India Government Mint (Noida, Uttar Pradesh). Garg is a chartered accountant-turned IAS and has been a joint secretary in DEA since December 3, 2015. Originally hailing from Uttar Pradesh, Garg is a product of Delhi’s Modern School and is a B.Com from University of Delhi. Earlier, in Madhya Pradesh, Garg was finance commissioner and managing director of Madhya Pradesh State Industries Corporation Ltd.
Garg is 55 years old, and will retire on October 31, 2021. Very very honest person, he was Collector at Khandwa m.p in 1997. Great job.....Want to know your whereabouts.